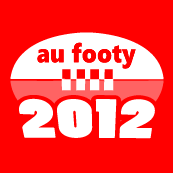 Track the current AFL 2012 Season (including the NAB Pre-Season) - and get the complete experience including Live Scores, Fixtures, Ladders, Latest News, Twitter Feeds, Stats, Venue Details and more. Please note - this app requires that you are running the Windows Phone 7.5 'Mango' update (7720 or greater) - as it uses new Windows Phone 7.5 specific features. Nominate your team - instantly view relevant information such as upcoming matches, team news and stats (with a Metro UX themed with your team colors) - and pin your team logo to your app tile. Don't miss a thing this season - live data is streamed directly into the app from our server - delivering updated fixture information, match scores, ladders and various news and stats as the season progresses. - View Upcoming Matches for Nominated Team(s). 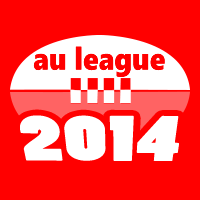 - View Fixtures by Date or by Team. - Pin your team logo to your live tile. - View Team page with info, links and upcoming matches. 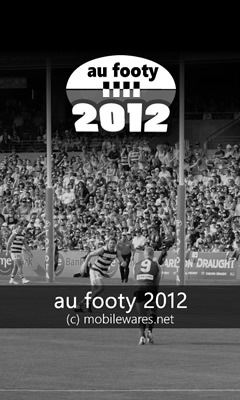 Best AFL app on the market. Very easy to keep track of results and upcoming games. Well worth the money. Excellent app. Beautiful design. Fast and informative. Nice looking interface and easy access to all you AFL statistics. Well worth the asking price. Can't wait to see how this app evolves over time. Scottish lad who has followed Aussie Rules for years. Not a fan of paying Sky for ESPN so this is the very fellow for me to keep up with action. So far so good, brilliant news section and that it keep the web page within the app. 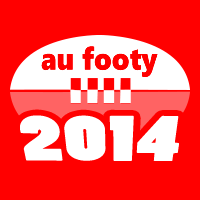 Nb: Above rankings/awards for 'AU Footy 2012' are at time of updating this page.